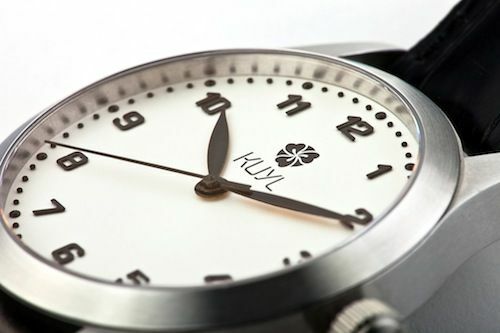 Just a few moments ago, Kuyl Watches has been introduced to a number of watch journalists, enthusiasts, bloggers and friends in The Hague. 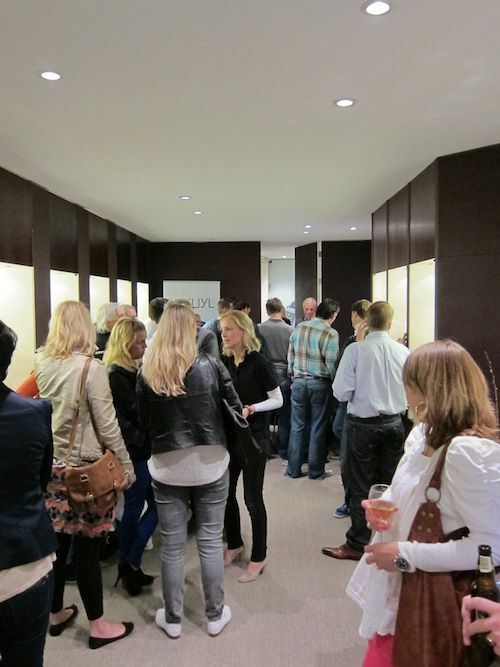 Owner Jan Jaap Kuyl welcomed the attendees at the opening reception in the Watch-Site boutique (official dealer) and presented his first collection of timepieces. 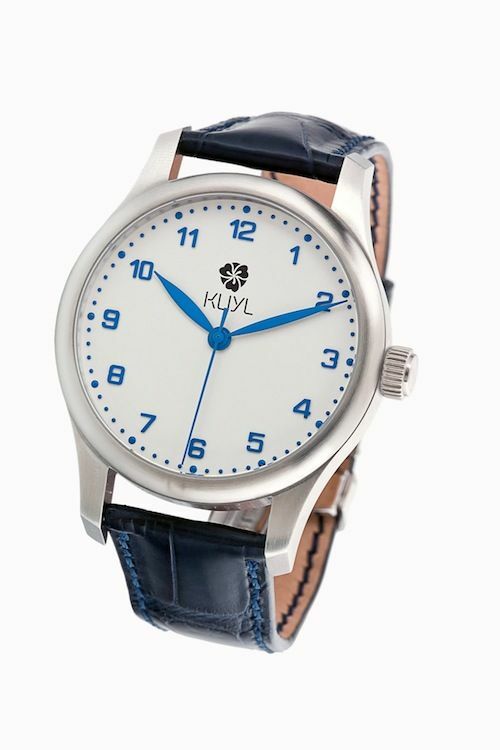 Timepieces by Kuyl Watches are modern looking with a classic twist. 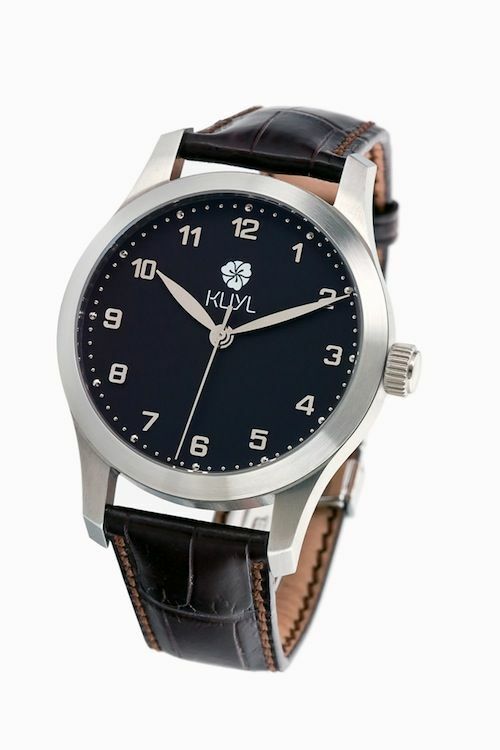 The hands, hour markers and leather strap make it a classic timepiece, but the large case is up-to-date and very wearable for young people. 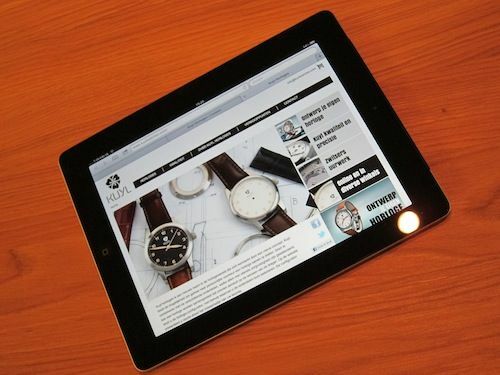 Most impressive is the case, designed by Jan Jaap Kuyl and manufactured in Germany with the greatest care and precision. 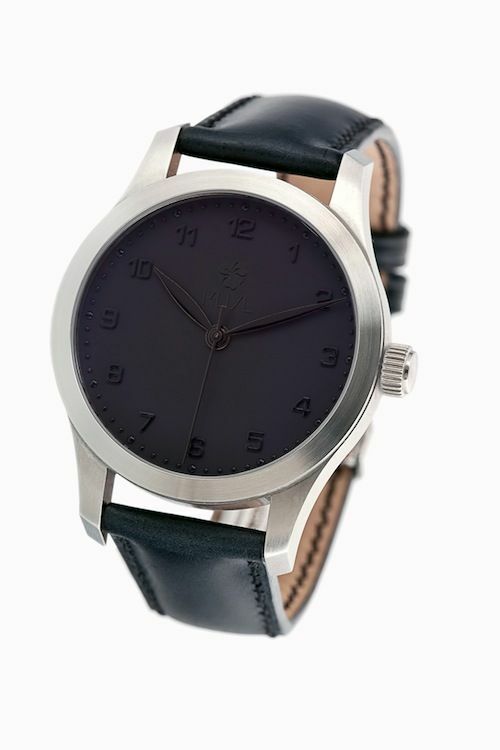 The Swiss movement is a Sellita SW200 (basically the same as ETA’s 2824-2) and can be seen through the display back of the watch. As you can see above, the case back has engravings in Dutch and the Dutch motto (since 1815) ‘Je Maintiendrai’. The display back has been screwed down to the case as you can see. Kuyl Watches are configurable by the buyer via their website, you can decide about the type of bezel, the color of the hands, dial and strap. 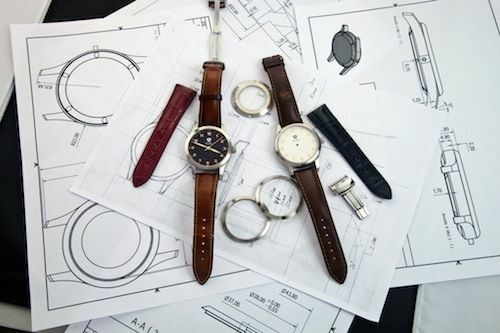 The straps are very high quality and you can choose between a Shell Cordovan strap or an alligator strap (both in various colors). 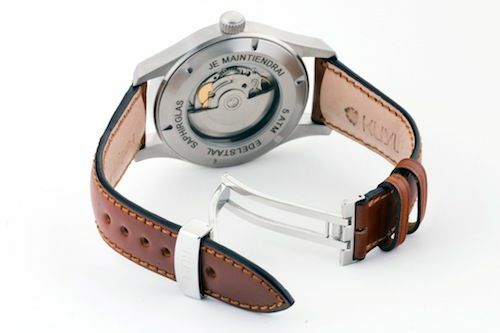 Every watch comes with a folding clasp, but for those who prefer a buckle, there will be delivered one separately with each watch.